The Best Healthy Eating blogs from thousands of top Healthy Eating blogs in our index using search and social metrics. Data will be refreshed once a week. Also check out Top Healthy Eating Youtube Channels list for Top videos on Healthy Eating. 2.29 Good Cheap Eats - eat well. act your wage. enjoy life. 2.32 The Lean Green Bean - Balanced. Simple. Real. 2.45 Eat Good 4 Life - Healthy and tasty food for everyone to enjoy! 2.62 Healthy Helper | Health, Happiness, Helping Others. 2.67 Jennifer's Kitchen - For a healthy you! 2.83 In pursuit of more - Eat well, be well. 2.84 Salted Plains - Gluten-free, real food recipes. 2.99 Hello Healthy Eating - Because eating healthy makes you happy! 2.102 Fit Men Cook | Built in the Kitchen; Sculpted in the Gym. Healthy Eating newsletter is a comprehensive summary of the day's most important blog posts and news articles from the best Healthy Eating websites on the web, and delivered to your email inbox each morning. To subscribe, simply provide us with your email address. Auckland, New Zealand About Blog Ditch The Carbs is a low carb recipe site packed with inspiration and practical ideas to make giving up sugar, carbs and wheat as easy as possible. All my recipes are sugar free, gluten free, grain free and low carb. Ditch The Carbs show you just how easy and nutritious it is to ditch processed food and eat real food. Facebook fans 310,354. Twitter followers 21,848. Western New York About Blog Organize Yourself Skinny is an informational and encouraging blog dedicated to helping busy people eat healthier by combining calorie awareness with menu planning, freezer cooking, and other make head meal cooking strategies. Facebook fans 420,226. Twitter followers 2,357. Facebook fans 314,060. Twitter followers 8,999. Southern Indiana About Blog I think eating good food can change your life (it did mine). And I think you can do it without going broke, crazy, or eating like a bird. Facebook fans 47,560. Twitter followers 2,273. Facebook fans 203,289. Twitter followers 117,131. Facebook fans 174,797. Twitter followers 6,974. Facebook fans 163,070. Twitter followers 17,083. UK About Blog Two Sleevers contains recipes that are either low carb, keto; made in a pressure cooker; or international recipes. Get Lots of keto recipes, tons of Instant Pot recipes, with an emphasis on fresh, non-packaged ingredients. Facebook fans 48,382. Twitter followers 418. Austin, TX About Blog My blog believes that eating healthy food should help relieve the stress of a busy lifestyle, not contribute to it. My recipes are made from healthy, whole ingredients and are freezer friendly, make-ahead, slow cooker, and/or quick & easy. It's real food, for busy people. Facebook fans 17,574. Twitter followers 243. Springfield, MO About Blog A blog about healthy recipes, fitness tips and keeping Christ as the center! Facebook fans 152,280. Twitter followers 7,937. Southern California About Blog Downshiftology is your healthy food and lifestyle destination. With hundreds of wholesome, gluten-free recipes and uplifting wellness posts, Lisa will inspire you to prioritize wellness, get back to basics and take life "down a notch." Facebook fans 50,067. Twitter followers 940. NYC & VT About Blog Discover the wondrous world of healthy cooking through simple, wholesome recipes that never sacrifice on flavor. Simply Quinoa brings fresh and healthy recipes to your table. Facebook fans 249,024. Twitter followers 3,289. Grand Rapids, MI About Blog A food and travel blog containing hundreds of healthy recipes and tips on keeping you and your family active and healthy. Facebook fans 137,099. Twitter followers 13,875. Washington, D.C. About Blog A vegan food blog with easy and tasty meals for the family, made with fresh, healthy ingredients. More than 800 vegan recipes for cooking and baking. Facebook fans 12,400. Twitter followers 1,363. 29. Good Cheap Eats - eat well. act your wage. enjoy life. San Diego, CA About Blog Food blogger, cookbook author and grocery geek all rolled into one with healthy and delicious ways to act your wage. Facebook fans 19,571. Twitter followers 27. New York About Blog A healthy living blog with simple and tasty recipes. Facebook fans 19,141. Twitter followers 1,911. San Francisco, CA About Blog A blog that focuses on low-carb, gluten free, high-fat diet (LCHF), focusing on protein (meat, fish, eggs and aged cheeses), healthy fats, non-starchy vegetables, and low-sugar fruit. Facebook fans 122,023. Twitter followers 2,952. 32. The Lean Green Bean - Balanced. Simple. Real. Lindsay L, RD About Blog I share simple, healthy recipes, nutrition tips and tricks, workouts and a sprinkle of life! Facebook fans 23,871. Twitter followers 17,608. Maine About Blog Here you'll find easy and delicious plant-based recipes made from simple ingredients. Psst... there's cookies too! Ready for some amazing vegan, gluten-free, allergy-friendly recipes? Facebook fans 30,317. Twitter followers 2,440. Facebook fans 159,559. Twitter followers 13,003. Indianapolis, IN About Blog All about vegetarian and whole food recipes. A couple who cooks simple, whole food, vegetarian recipes. Facebook fans 16,406. Twitter followers 5,822. Danville, CA About Blog Most of my recipes are healthy and diet friendly: paleo, Whole30, gluten free, dairy free and refined sugar free. The better I eat, the better I feel, and eating a clean diet is what works best for me and my family. I cook seasonally, using ingredients that are in season and organic. Facebook fans 4,886. Twitter followers 393. Sydney & London About Blog My name is Irena Macri and I run Eat Drink Paleo a food and cooking website inspired by the paleo and whole foods diet. In my blog, you will find all about Paleo Recipes, Cooking Tips & Lifestyle Ideas. Facebook fans 118,202. Twitter followers 2,948. Austin, TX About Blog My name is Jessica and I'm the girl behind this healthy dessert recipe blog. Desserts With Benefits is your blog for healthy, yet delicious, dessert recipes I have a passion for nutrition, health, and wellness. My mission is to make dessert healthy in all aspects free from the sticks of butter, void of the pounds of sugar, sans the refined ingredients. Facebook fans 22,196. Twitter followers 2,446. About Blog Wholesomelicious shares wholesome and delicious recipes, and provides weekly meal plans. The recipes include vegetarian or vegan meals, gluten free, Paleo, and Whole30 options as part of my repertoire and unprocessed. Facebook fans 28,736. Twitter followers 470. About Blog Low carb recipes, information and product reviews. Learning to Step Away From The Carbs! Facebook fans 33,613. Twitter followers 3,571. 45. Eat Good 4 Life - Healthy and tasty food for everyone to enjoy! westfield, NJ About Blog The blog is to share my passion for healthy cooking and baking. My ultimate goal is to be able to inspire people to start cooking healthier. It really only takes a bit of planning and learning a few tricks. I truly believe eating healthier it is easier than most people lead to believe. Facebook fans 94,584. Twitter followers 1,696. NYC About Blog Domesticate ME! is a website that has everything you need to get your domestic groove on. It's a one-stop shop for mind-blowingly simple yet impressive recipes and entertaining ideas, plus tutelage for nutritionally challenged dudes (The Dude Diet). Help me help you, people. About Blog On my blog, I share some of my favorite healthyb recipes, easy snacks, quick meals to make in a dorm room, and a little of my life. Facebook fans 1,385. Twitter followers 721. Redondo Beach, CA About Blog A globally inspired vegan food blog by Erin Wysocarski with photography by Jeff Wysocarski. Facebook fans 14,825. Twitter followers 2,741. UK About Blog Welcome to Every Last Bite where I share healthy and delicious recipes for the Specific Carbohydrate Diet, all grain, gluten, lactose, soy, starch and refined sugar free! Facebook fans 16,195. Twitter followers 303. Facebook fans 4,876. Twitter followers 6,526. Barbados About Blog Delicious Low Carb, Gluten free & Paleo recipes. This site provides information about good and healthy diet recipes. Facebook fans 8,291. Twitter followers 872. Austin, TX About Blog Hello, I'm Amanda Plott, here in my little section of the inter-web you will find an array of skinny, healthified, clean, gluten free and otherwise low-fat recipes that will make your mouth water without busting your gut! Facebook fans 8,492. Twitter followers 638. Cambridge, MA About Blog This site shares seasonal food and drink, mostly healthy and with plenty international inspiration. Real food, usually easy & always tasty! Facebook fans 3,410. Twitter followers 5,828. Manhattan About Blog The Healthy Apple and my cookbook, Eating Clean, were created to give you the courage and tools to embrace this new lifestyle and reclaim your health. Facebook fans 41,644. Twitter followers 14,649. Atlanta, GA About Blog Real Food Natural Living Blog sharing holistic health tips and tricks to heal your body, balance hormones and improve digestion naturally, without sacrifice. Facebook fans 3,572. Twitter followers 1,435. Germany About Blog Heavenlynn Healthy is a healthy food blog and health blog with healthy, delicious, plant based recipes. Most recipes are vegetarian, vegan, gluten free and refined sugar free. Facebook fans 4,333. Twitter followers 248. 62. Healthy Helper | Health, Happiness, Helping Others. Facebook fans 59. Twitter followers 3,339. US & Canada About Blog A vibrant food blog with a passion for simple, flavorful and sophisticated recipes. I love to make everything a little healthier and boost nutritional value. Facebook fans 1,676. Twitter followers 7,074. Facebook fans 21,132. Twitter followers 976. 67. Jennifer's Kitchen - For a healthy you! About Blog I started Jennifer's Kitchen as a way to offer inspiration, advice, and healthy recipes to others who are trying to lose weight. Facebook fans 1,872. Twitter followers 827. Austin, Texas About Blog Jennifer Fisher is an award-winning recipe creator, food & fitness blogger, healthy cooking coach, spokesperson, competitive runner and CrossFit enthusiast. Whether in person or through her blog, TheFitFork.com, Jennifer offers ways to quickly and confidently prepare healthy, well-balanced meals with delicious taste. Facebook fans 3,938. Twitter followers 3,975. Chicago, IL About Blog Dietitian Debbie Dishes is a healthy living blog where you'll find tasty vegetarian recipes and helpful nutrition tips. Facebook fans 2,962. Twitter followers 1,307. Facebook fans 28,586. Twitter followers 5,421. Sydney, Australia About Blog Raw, vegan desserts made with organic desserts and plant-based whole foods recipes, articles and wellness tips to nourish your body and soul. Facebook fans 24,189. Twitter followers 438. About Blog 2 Week Diet Blog by Brian, gives all the tips to loose within 60 days. Michigan About Blog Hi, I'm Joyce! I share many simple and healthy gluten-free, vegan friendly recipes here. As an organic chemist, I'm also looking for science behind cooking. Facebook fans 963. Twitter followers 301. About Blog Welcome to Healthy Eating for Families! I am Jodie Shield, a registered dietitian nutritionist and a real-life mom dedicated to reconnecting busy families one meal at a time. My mission is to help everyone in the family – children, teens, parents, and grandparents – eat healthier so that everyone can achieve a healthy weight. Facebook fans 910. Twitter followers 571. Facebook fans 339. Twitter followers 378. Facebook fans 2,841. Twitter followers 9,005. Tampa, FL About Blog I started Dishing Out Health in hopes of sharing my passion for nutrition, cooking and all-things health..However you can easily search for gluten-free, dairy-free, vegan/vegetarian, and paleo recipes on the blog depending on what your preferences or health needs are. Facebook fans 1,295. Twitter followers 301. London, England About Blog Hi, I'm Teffy, and this blog is all about inspiring a balanced life through delicious and wholesome foods. Healthy eating shouldn't be hard and stressful, it should be easy and fun! It's not about being perfect either, so go ahead and have that chocolate - and that green smoothie too! Facebook fans 2,340. Twitter followers 418. 83. In pursuit of more - Eat well, be well. Vancouver, Canada About Blog Welcome to In pursuit of more, the blog about living with just a little less and I created this space to share my love of food, minimalism, and the art of being grateful with the intention of inspiring healthful, conscious eating that is nourishing and accessible to all. Facebook fans 3,328. Twitter followers 1,200. 84. Salted Plains - Gluten-free, real food recipes. Kansas City, MO About Blog Many of the recipes you will find here are also dairy-free or vegan, and I strive to use whole ingredients and bake without refined sugar whenever I can, often using my favorite natural sweeteners–honey, maple syrup, and coconut sugar. Facebook fans 2,528. Twitter followers 571. New York, NY About Blog Healthy gluten free, dairy free, sugar free desserts. Facebook fans 26,600. Twitter followers 873. About Blog This blog is as much about motivating everyone to keep eating and enjoying healthy, wholesome, real food as it is about showing others how delicious and easy doing that can be. Hong Kong About Blog At Eatology, our mission is to provide you with the highest quality health food, and the endless positive benefits that come along with it. We want to help you reach your optimal level of fitness, boost your energy, improve your mood, and ensure that you live a fit, happy and long life. Facebook fans 3,016. Twitter followers 73. New York About Blog A food blog of delicious healthy easy to make recipes . It’s my mission to support you to eat nourishing foods that balance hormones, boost metabolism and reduce cravings. I will empower you to develop a loving relationship with yourself. It’s the most important relationship you’ll ever have. Facebook fans 891. Twitter followers 78. Stockport, England About Blog Welcome to Everyday Healthy Recipes. My name is Monika Dabrowski and I have set up this blog to share my recipes with people who, like me, are passionate about cooking and healthy eating. I use a lot of fresh vegetables and herbs as well as quinoa and other wholegrain ingredients. I use little fat and sugar even in desserts. Facebook fans 930. Twitter followers 3,577. San Diego, CA About Blog Welcome to The Healthy Home Cook, a blog where I get to share my love for nutritious foods, and advice for living a strong fulfilling life. Not all of my recipes are meat-free, but most are gluten and allergy friendly. My goal is to provide people with delicious, satisfying recipes that will help them embrace a healthier lifestyle. Facebook fans 533. Twitter followers 297. About Blog Luna Regina is blog about making healthy eating and living an easier choice for individuals and families. You will find here tips and gadgets that make work in the kitchen and the whole house much easier, time-effective, and more convenient. Facebook fans 14. Twitter followers 17. New Zealand About Blog Nutritional Cleansing is an Independent Associate of Isagenix bringing Weight Loss, Performance, Energy, Healthy Ageing supplements to NZ. Nutritional Cleansing includes supplements for Dairy-free and Gluten-free products, also for Vegetarians or Vegans. If you are looking for healthy diet supplements whether it is for Weight Loss or Performance, we have you covered. For information about Isagenix lifestyle, products, business and positive well being, check out the Nutritional Cleansing NZ blog. Facebook fans 298. Twitter followers 95. Atlanta About Blog Chef MeganMegan McCarthy’s creative culinary experience and enthusiasm brings healthy food to life! She incorporates highly nutritious Superfoods into an everyday healthy eating lifestyle while putting you at ease in the kitchen. Facebook fans 1,026. Twitter followers 1,812. Washington, DC About Blog A healthy food blog with hundreds of easy wholesome recipes including gluten free, dairy free, paleo, low carb, vegetarian and vegan options. Facebook fans 458,647. Twitter followers 10,281. Boston, MA About Blog Finding a healthy balance between living to eat and eating to live. I go in for unprocessed foods and cooking with fresh ingredients.My goal was to make food that was simultaneously wholesome and delicious. Facebook fans 2,659. Twitter followers 607. About Blog A food blog with hundreds of simple, healthy dessert recipes for the Paleo and gluten-free diets. Facebook fans 169,037. Twitter followers 651. 99. Hello Healthy Eating - Because eating healthy makes you happy! Washington, DC About Blog Naturally Sweetened Dessert Recipes - Healthy, delicious sugar-free recipes! Healthy desserts using natural sweeteners: maple syrup and stevia. Vegan, dairy-free and gluten-free recipes. Healthy first birthday cakes, gluten-free brownies, paleo cookies and more! Facebook fans 4,295. Twitter followers 414. St. Louis, MO About Blog Your top spot for health advice, recipes, and nutrition. Green Bean's blog is the best place to get all of your healthy updates. Facebook fans 1,966. Twitter followers 169. 102. Fit Men Cook | Built in the Kitchen; Sculpted in the Gym. About - Skinnytaste features delicious, healthy, low fat, family-friendly recipes several times per week and Skinny Bits, where answer to cooking questions, health tips, reviews and giveaways are found. About - Find healthy, delicious recipes and menu ideas from our test kitchen cooks and nutrition experts at EatingWell magazine. Learn how to make healthier food choices every day. About - 101 Cookbooks is a recipe journal where primarily feature healthy, vegetarian recipes, and the occasional sweet treat. 101 Cookbooks is a huge cookbook collection and focuses primarily on natural, whole foods and ingredients. About - Find quick and healthy recipes, nutrition tips, entertaining menus, and fitness guides to help you make smart choices for a healthy lifestyle from Cooking Light magazine. About - Hungry Healthy Happy is one of the UK’s most popular food and lifestyle blogs. Here you will find easy healthy recipes that show how healthy eating doesn’t have to be boring; home and garden projects, wellbeing, family life, travel and general happiness. About - The Healthy Food Guide blog brings you expert views on the health stories hitting the headlines, nutritional nuggets from top dietitians and exercise updates from our fitness gurus. About - Helping individuals live a healthy lifestyle. Sharing healthy, clean and delicious recipes. About - Fun and healthy recipes for kids and families! About - Her nutrition blog provides valuable weight loss tips, healthy food suggestions and a plethora of advice on how to tweak your diet, improve nutrition and reach your health and wellness goals. About - Welcome to Oh She Glows – an award-winning recipe blog featuring over 500 healthy recipes (and growing)! For the past 6 years, I’ve shared energizing, plant-based recipes that my family and I enjoy on a daily basis. About - A healthy food blog with delicious, plant-based recipes. About - Living your best healthy lifestyle with fresh tips and tantalizing recipes to delight and empower you! About - Nutritious versions of your favourite treats, devised with your health goals and taste buds in mind. Your #1 source for delicious, guilt-free recipes. About - Join Amy Darcy in building a healthy lifestyle with recipes & wellness tips to help you live a wholesome, happy life! About - Supercharged food will help you feel amazing and improve your health through diet and nutrition and healthy lifestyle tips. The main purpose of the website is to provide easy to prepare yummy recipes which are all gluten, wheat, dairy, yeast and sugar free. I hope that you will enjoy the recipes that I had so much fun putting together. About - My aim is to empower and inspire people of all ages to improve their lives by making healthy food choices and creating delicious food memories. About - Read out health and fitness based articles to know diet food, recipes, Super foods and exercises to lose weight effectively based on your body types. About - Hello! I’m Dr. Nandita Iyer. Welcome to my blog, where I simplify healthy eating for you. Easy and quick, with a reasonably short list of easily available ingredients, these are the kind of recipes you’ll find on my blog. I also share with you my thoughts on nutrition, healthy eating and mindfulness. I hope my blog helps you in a small way to eat and live healthier. About - Indian Food blog Tasty recipes and Healthy Cooking Recipe. 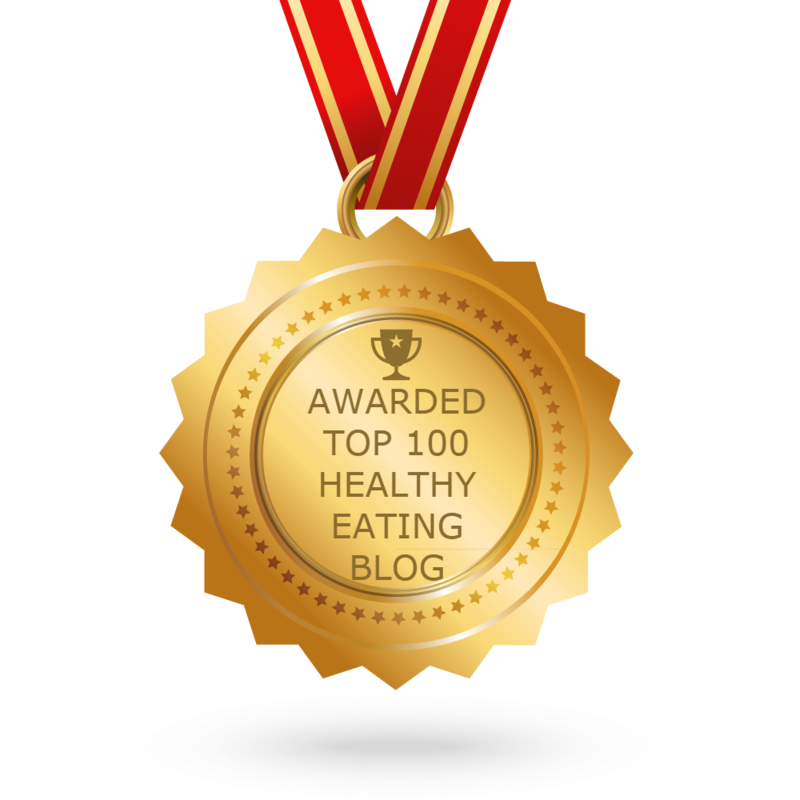 CONGRATULATIONS to every blogger that has made this Top Healthy Eating Blogs list! This is the most comprehensive list of best Healthy Eating blogs on the internet and I’m honoured to have you as part of this! I personally give you a high-five and want to thank you for your contribution to this world.